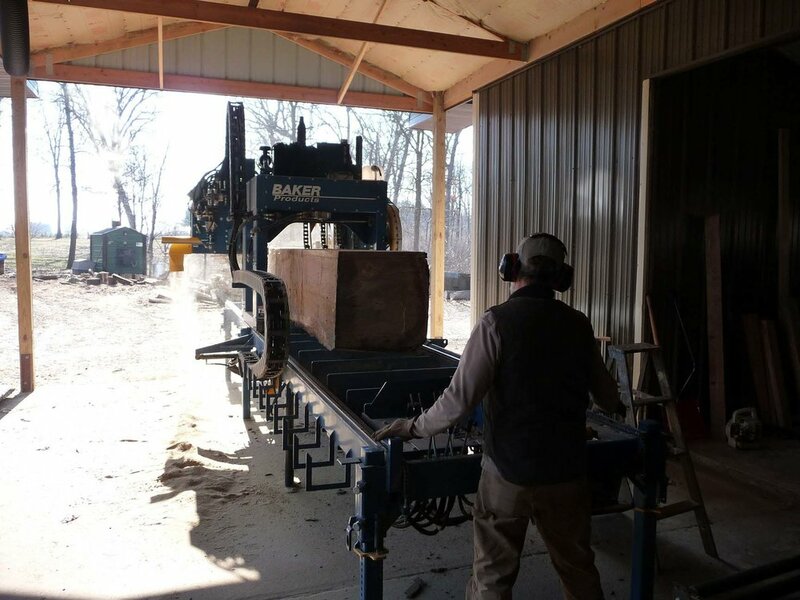 Johnson Creek Hardwoods is always ready to work with customers and craftsmen on special projects. The following below are a few examples. Ryan Bess (www.singularwoodworks.com) approached us when his customer wanted a twelve foot long live-edged walnut table. 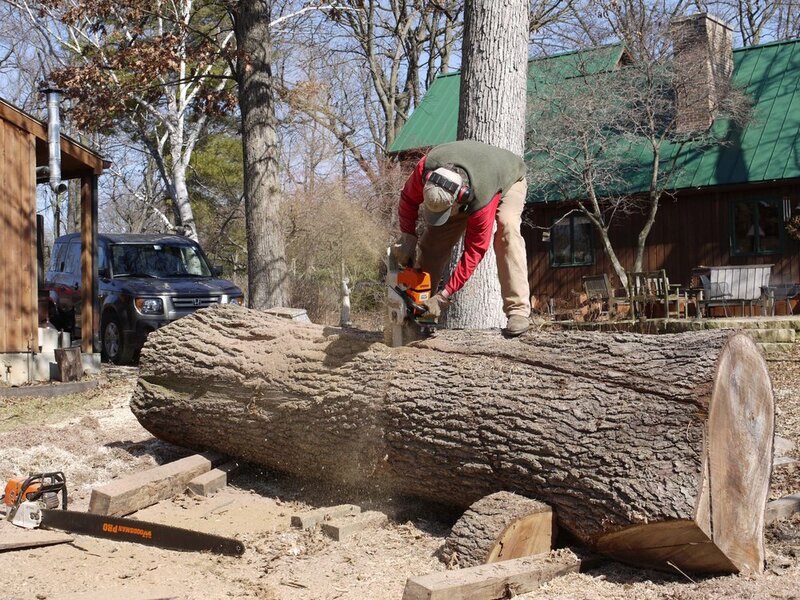 We finally found the right log when an urban tree had to be removed for a new garage. Extra time was spent analyzing possible defects and carefully planning the sawing, since the first cut determined the entire sawing sequence. The resulting table (shown at far right) is extraordinary. In the Spring of 2011 we were contacted by a procurer for the Field Museum in Chicago to saw 18” and 24” hardwood cubes for seating in a new exhibition about sustainability. All the trees used were to be either dead, dying, storm-damaged, or urban removal trees. 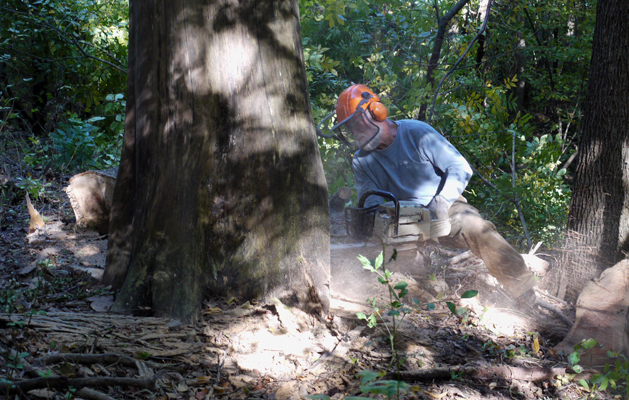 We harvested dead slippery elm, red oak, and white oak from our timber. 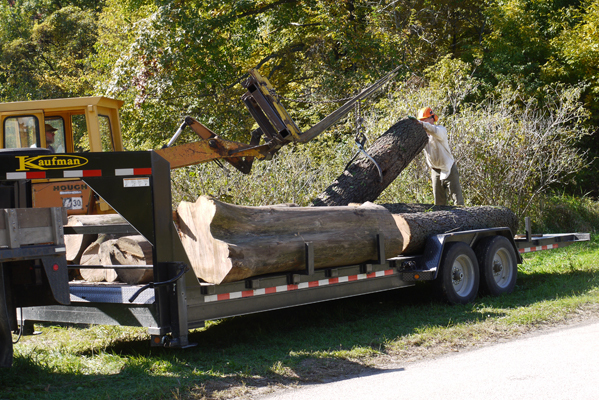 We located sycamore, American elm, silver maple, and sugar maple logs at an urban tree service. Once they saw the cubes, the museum staff decided they wanted benches as well. We made 16 cubes and 12 benches in all. “Restoring Earth” opened in the Abbott Hall of Conservation at the Field Museum on November 4, 2011. Seating is provided by Johnson Creek Hardwoods.